Illustrations: Myriad Editions Limited is the vendor. What we eat, where we eat, and how we eat: these questions are explored in this remarkable book, now with a new introduction contextualizing the atlas for 2013 and beyond. 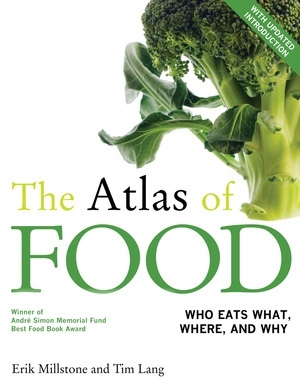 By providing an up-to-date and visually appealing understanding of important issues around global food and agriculture, The Atlas of Food maps out broad areas of investigation—contamination of food and water, overnutrition, micronutrient deficiency, processing, farming, and trade—to offer a concise overview of today's food and farming concerns. Buttressed by engaging prose and vivid graphics, Erik Millstone and Tim Lang convincingly argue that human progress depends on resolving global inequality and creating a more sustainable food production system. Erik Millstone is Professor of Science Policy at the University of Sussex, United Kingdom. Tim Lang is Professor of Food Policy at City University, London, Chair of Sustain, and is a consultant to the World Health Organization.